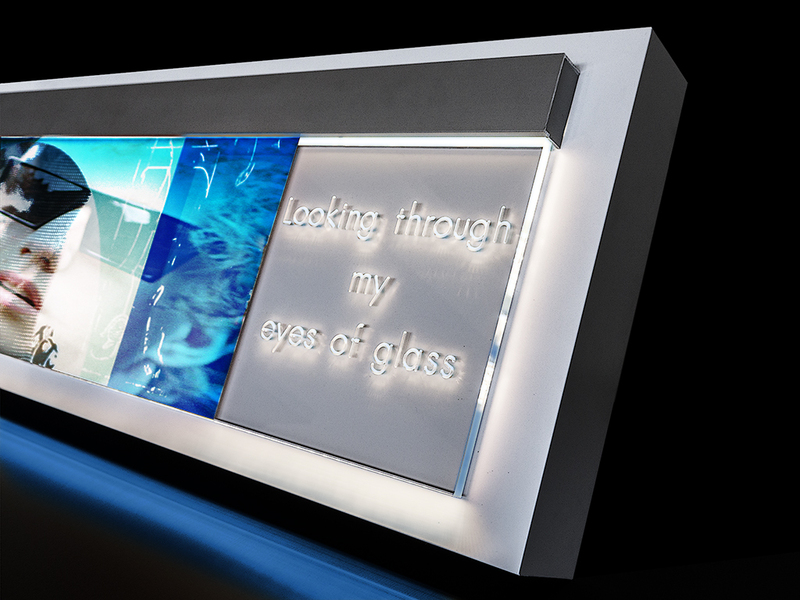 Light design for the home or in indoor public areas, attention grabber and eye-catching lighting object in the home and in hotels or restaurants. 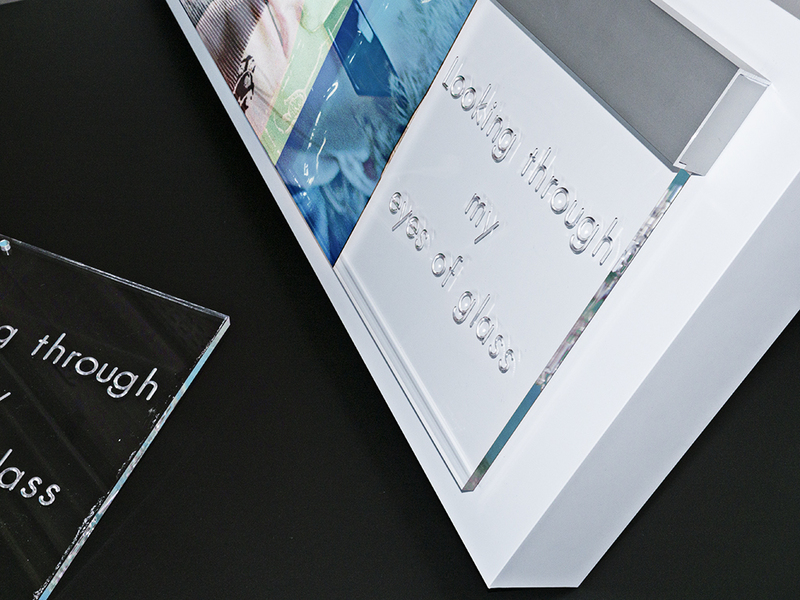 We produce bespoke products in any required length: latex printing on film base behind 10 mm-thick acrylic glass which scatters light from the top from a light strip lit by LEDs through the thick sheet of acrylic glass. 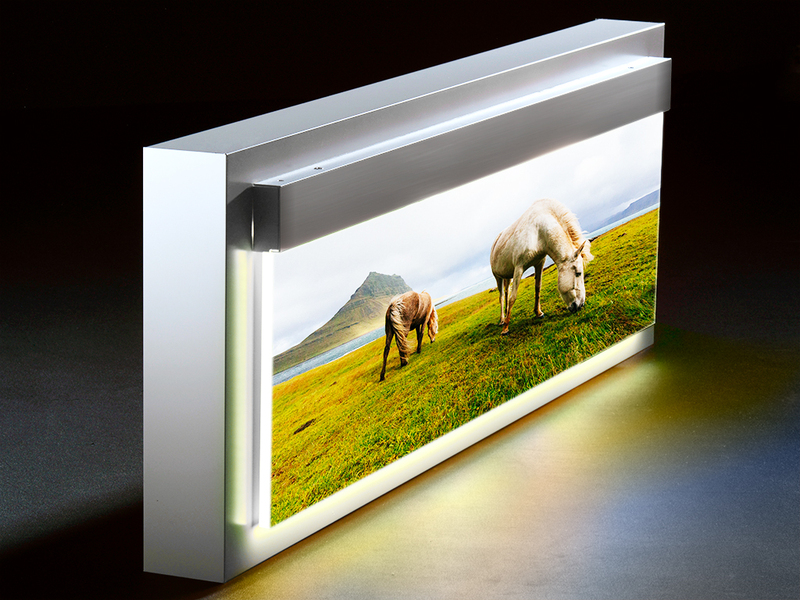 The LED strip is covered by a silver-anodised aluminium section with the option of a custom paint finish. The light frieze is supplied as standard with an external transformer, and, at extra charge, we can supply a built-in transformer. Incidentally, we are also pleased to advise you on the image selection. 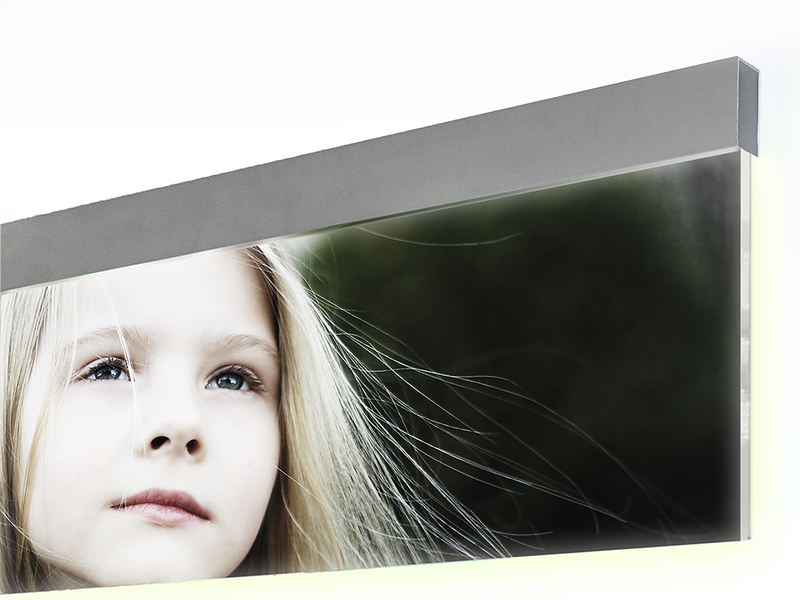 This shows the light frieze also mounted on a canted Dibond panel (as on our 3D laminations). Staging your own pictures to achieve a fascinating result in the home.